View basket “Lead Free Labels” has been added to your basket. 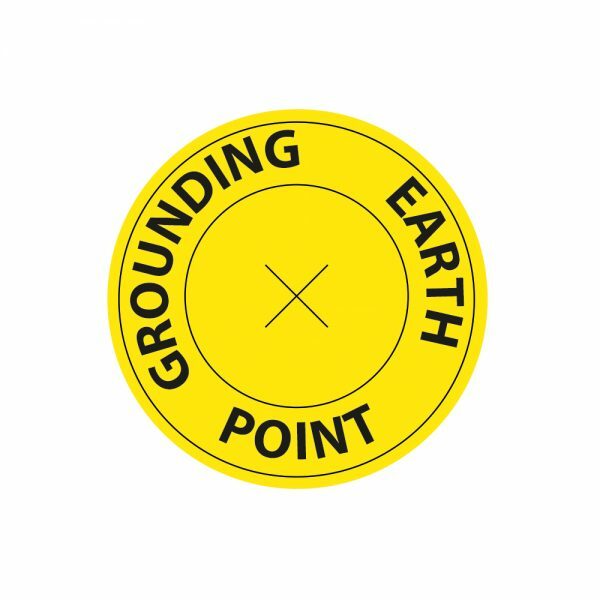 This 36mm diameter ESD Common Grounding Point Label is for use under studs on any equipment within the EPA. Perfect for easily indicating earthing points for grounding. 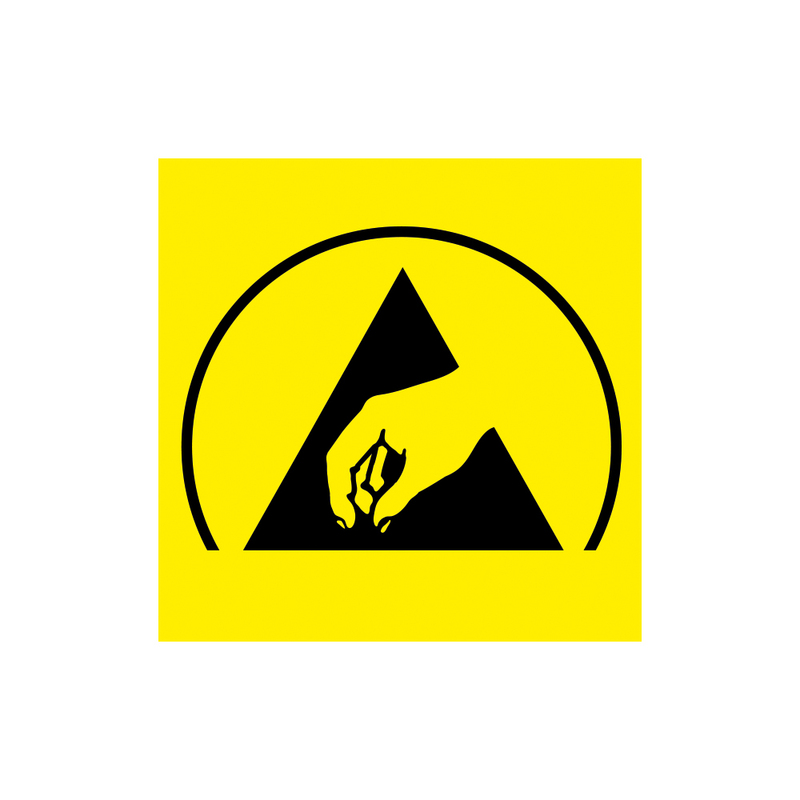 Yellow, with black print, the labels conform to industry standard BS EN 61340-5-1. Sold individually so you can buy the exact quantity you need. This label is for use under studs on any equipment within the EPA workstation. 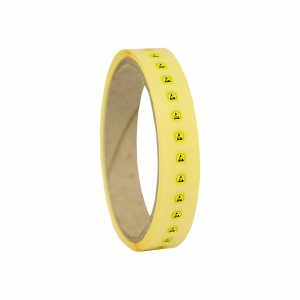 It’s bold yellow background with black print ensures easy identification of grounding points. 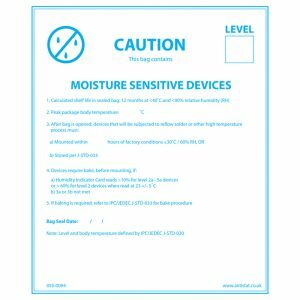 These blue, self-adhesive Caution Labels can be used to indicate that the enclosed product is sensitive to moisture. 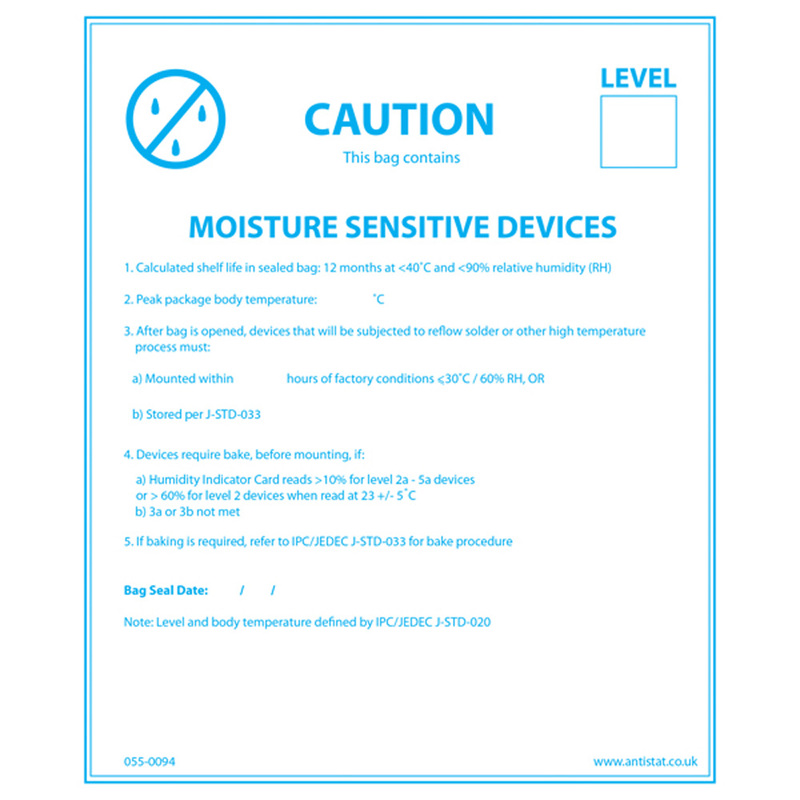 They meet with IPC/JEDEC J-STD-033 and JEDEC113 standards and can be used as part of your moisture barrier packaging programme. 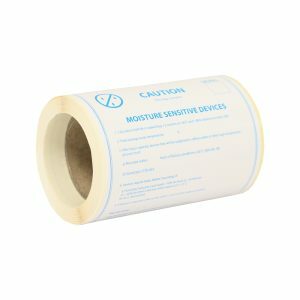 Available from stock in rolls of 100 labels. 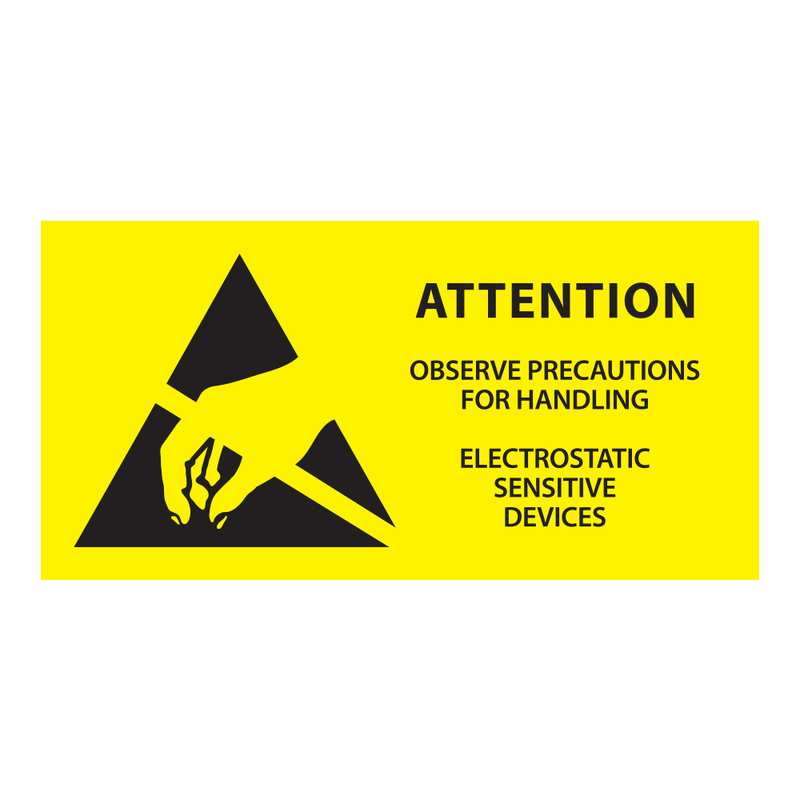 Our ESD Caution Label – Global are printed on a vibrant yellow background with black print assisting conformance to the EIA & JEDEC-14 standards. 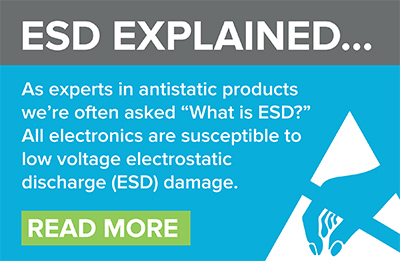 As with all of our ESD labels they adhere to bags, cartons and other packaging that contains static sensitive materials. 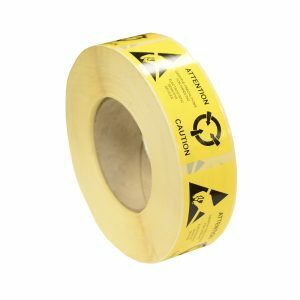 1000 labels per roll, sized 98mm x 38mm. 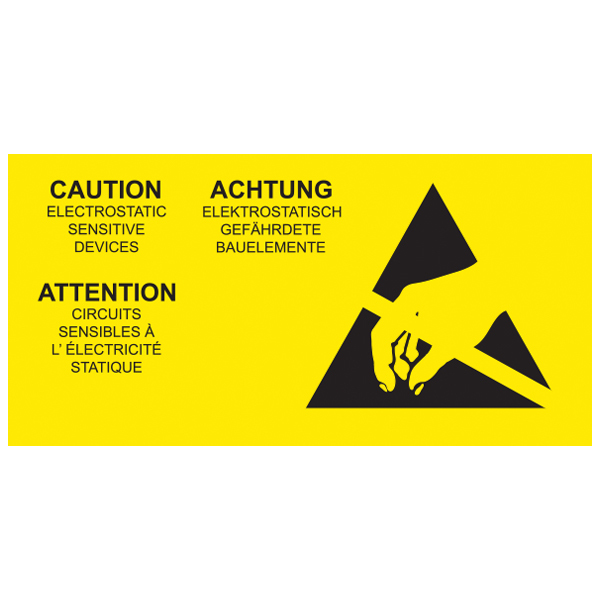 Our self-adhesive, yellow Multi-Lingual ESD Caution Labels display the message in English, French and German. In addition to the written warning, these labels feature the ESD Cautionary Symbol, ensuring your electrostatic sensitive devices are clearly marked. 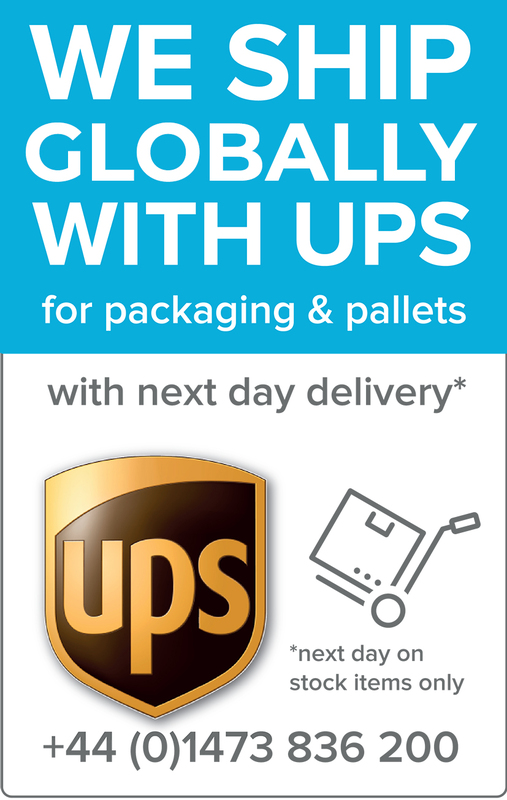 Order yours today to keep your products safe. 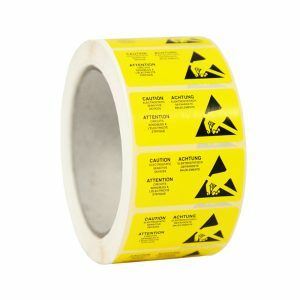 A roll of self-adhesive ESD Caution Labels, ideal for the marking of electrostatic sensitive devices. Available in three different sizes to suit your needs. 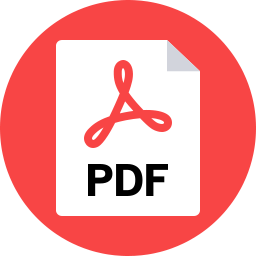 Suitable for automatic dispensing as well as manual application. 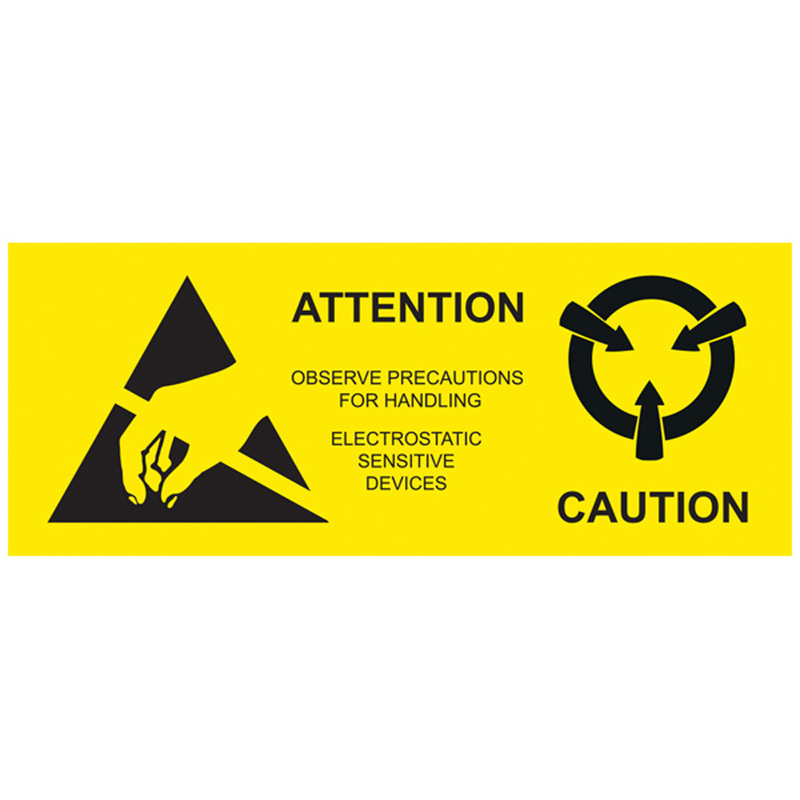 Self adhesive, yellow ESD Caution Labels available in a . The labels carry the industry standard ESD caution logo ONLY and are ideal for marking of electrostatic sensitive devices. 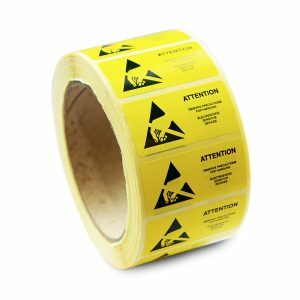 Labels are 5mm x 5mm.